We at SynapseWebSolutions develop the highly innovative and feature rich Windows application. 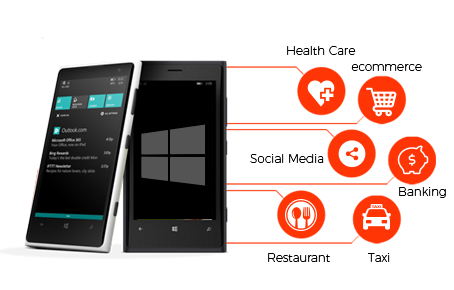 Being a Microsoft certified partner, we have the best solution for Windows app development needs. Our expert team of developers are adept with Microsoft Windows technology and then can do all the required customization to meet your expectation and project requirement. Our technology efficiency and the commitment to meet the deadline stand us apart from other app development companies and thus we are the top player in Windows app development industry in London, UK. We are always ready to accept new challenges and welcome the innovative ideas of our clients. We have the friendly development environment for the Windows OS app development. We never compromise with the expectations of the client and strive to meet the same in the promised deadline. Our clients belong to different industry verticals and our flexibility in customization make us the leader in app development industry.